I am going to another retreat at Rockin' R in September. Since Felicia's Scrapbooks closed I haven't taught a single class. My friend Rhonda asked me about teaching at the retreat. Since it's been a while I had to pull out all the stops. 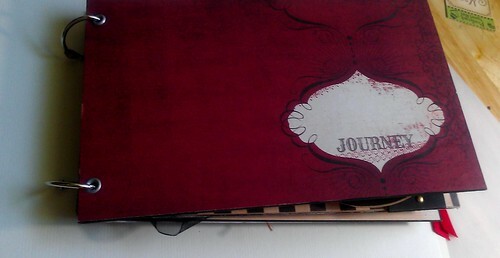 I have been seeing different ways to use the waterfall concept on various blogs lately. 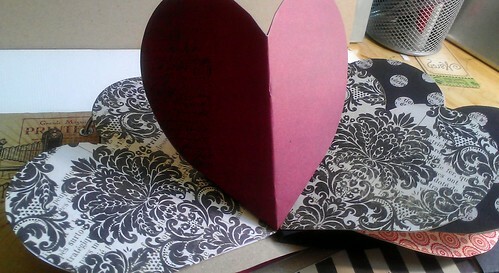 I tried it with the pop up heart die from Sizzix and this is what I came up with. There are 3 pop up hearts that can hold photos. 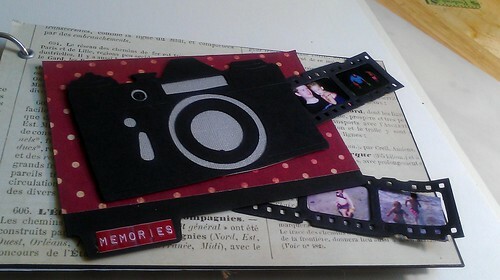 I also included some fun tabs, a vintage camera, film strip and a photo wheel. I created 4 styles of the album for the class at the retreat. I have a youtube of each album including all the pages. The papers are from My Mind's Eye. If you would like more information about getting a kit or the class please leave a comment and I will email you back with information. The entire red and black album. I'm a mother of 2 (Simon--14 and Lizzy 11). I teach first grade. Between my kids at home and my kids at school, I stay busy but never too busy to hit the craft room on occasion. I love all types of paper crafts. 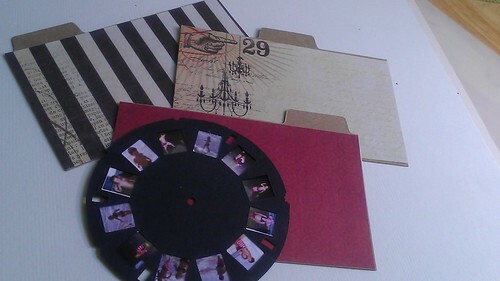 I started with scrapbooking, but spend most of my crafting time stamping, making cards and altered items.